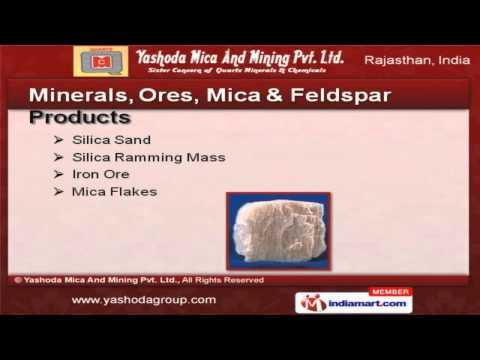 Welcome to Yashoda Mica and Mining Private Limited, Manufacturer and Exporter of Mica, Quartz Products and Marbles. The company was inaugurated in 2012 at Jaipur. We serve to Petrochemicals, Paper, Textile and other industries. Strict quality checks, Market leading prices and multiple payment options are the plus points of our organization. We offer a wide assortment of Feldspar Products, Brown Marble and Sandstone Slab for Kitchens. Minerals, Ores, Mica and Feldspar Products are well known for their properties. Quartz Products, Designer Granite and Marbles Slabs offered by us are extremely reliable. Our Marble Stone and Brown Fantasy Marble for Homes are available at industry leading prices. We are offering a top notch quality range of Designer Marbles and Global Yellow Marble for Hotels. Our clients can avail from us an exquisite range of Brown Marble and Sandstone Slab for Kitchens that are cost effective.